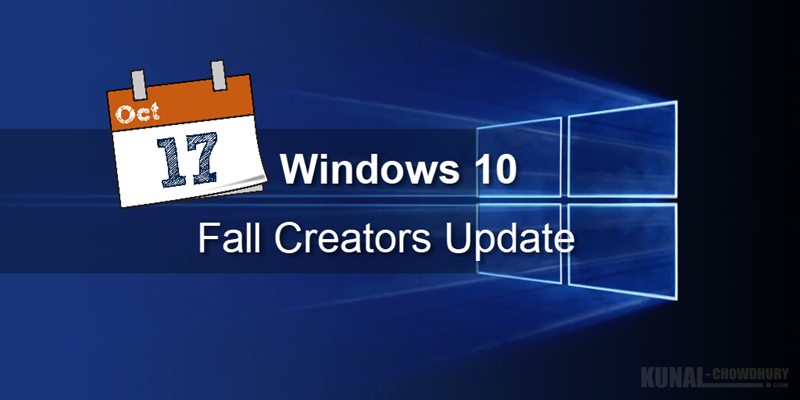 Windows 10 Fall Creators Update will be available worldwide from 17th Oct! Are you waiting for the next major update of Windows 10? Then the wait is near to end. Microsoft has announced that the next big update will start rolling out on 17th October 2017, with so many new features to make you creative. As a Windows Insiders in the fast ring, you might have already experienced the latest update. If not, then hold your breath for another few days!!! Terry Myerson, the Executive Vice President of Windows and Devices Group, in her blog post announced the update release date. The key features will include enhancements to Windows Inking, reimagined photos app, On-demand access to OneDrive files, gaming enhancements, Windows Mixed Reality, Security and more. Mark your calendar! It's 17th October 2017. If you have come this far, it means that you liked what you are reading (Windows 10 Fall Creators Update will be available worldwide from 17th Oct! ).